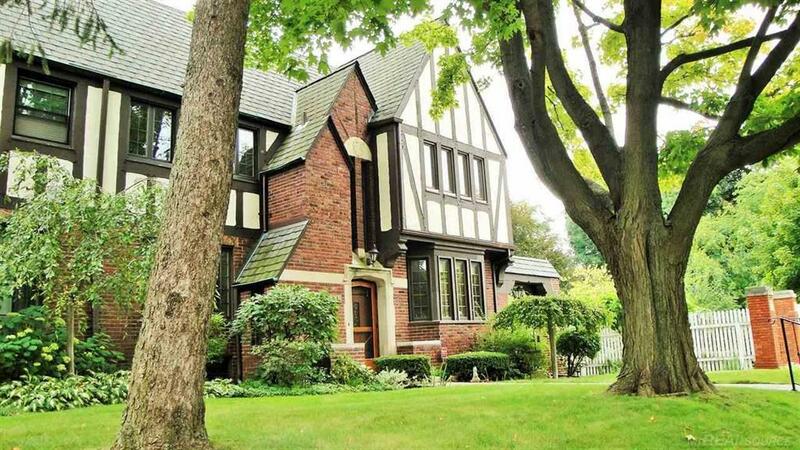 Lovely English Tudor condominium in prime Grosse Pointe location with 4 bedrooms and 3 1/2 baths. High ceilings, plaster moldings, gleaming hardwood floors throughout, master bedroom and bath, amazing 3rd floor office/guest quarters with walk-in cedar closet and full bath. Basement has finished recreation room with wet bar, wine cellar and half bath. Updates include: boiler, air conditioning, hot water tank, some new windows and blinds, stainless steel appliances, refinished hardwood floors, gas to fireplace, outdoor electrical box. Walk out of your back door onto a wonderful common deck! One assigned carport space. One block to the "Village" for shopping and dining, short walk to the City waterfront park. Monthly association fee includes master insurance, maintenance of common areas and water. Pets allowed.